I have to admit, here in Northern California the weather is finely starting to get nice out. Saturday it was 81 degrees and just beautiful out. Right now it’s cloudy and low 70’s, but I will take it. With this Spring Fever hitting, I have been craving light refreshing meals and drinks. 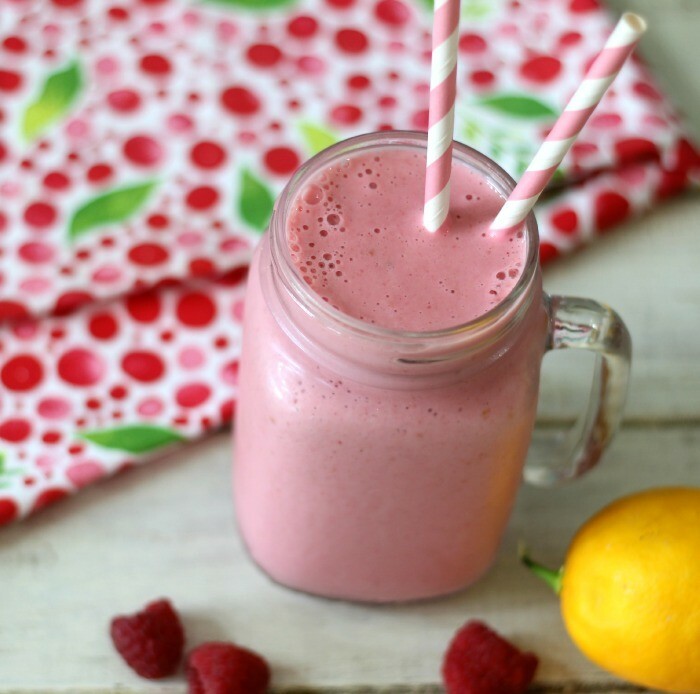 Since in my mind summertime is just about here, I thought I would share with you a summertime favorite zipped up into a smoothie, which is my Pink Raspberry Lemonade Smoothie. Yum! 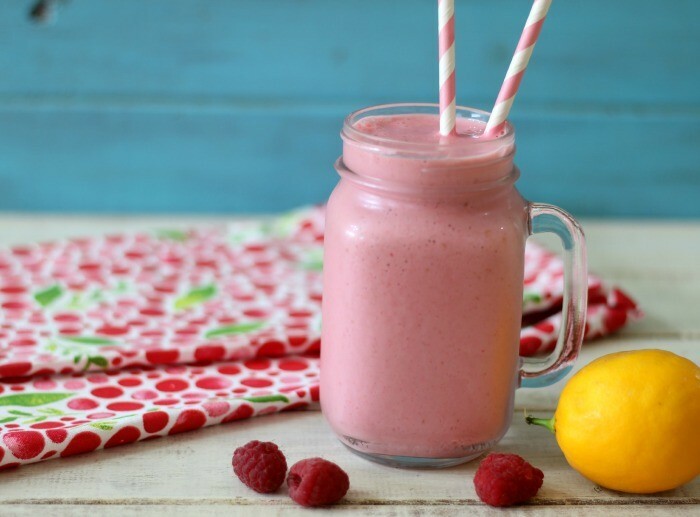 This smoothie is so light, refreshing, and tastes just like summer. Ok, I don’t know what summer tastes like, but I’m sure if you could taste it, it would be good? I’m rambling and talking weird, I know! 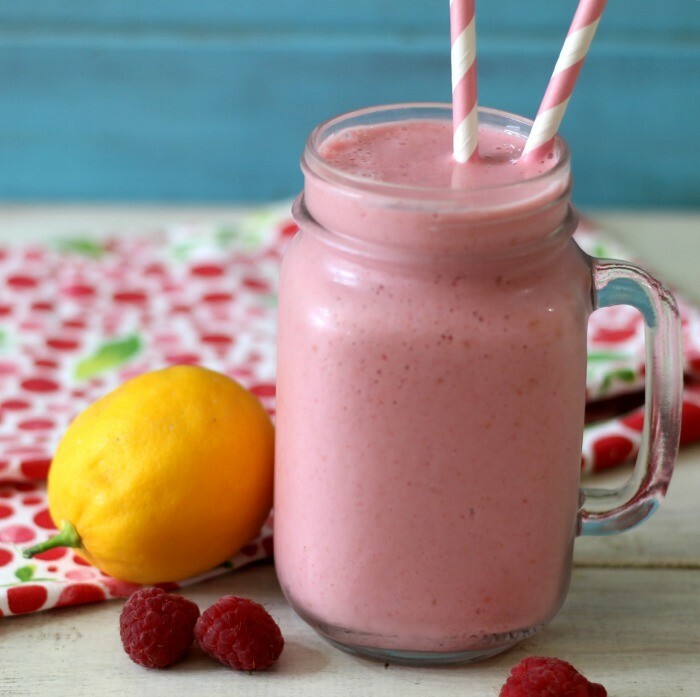 Anyway, this smoothie has a nice lemonade flavor with out being over baring, plus it’s sweet, but not too sweet and you get a nice hint of raspberry with every sip. I love it and I know I will be making this more often. To make the smoothie I found Minute Maid Light Pink Lemonade at Target. it’s only 15 calories a cup and tastes really good. That was my inspiration for this recipe. To add some nutritional boost to the smoothie I added Fage Plain Greek Yogurt and of course I needed some raspberries too. They give you a nice healthy dose of fiber. 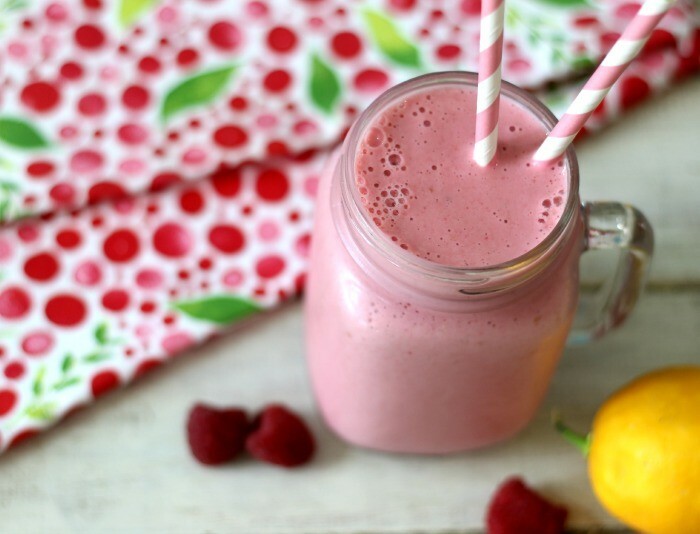 All in all this is a pretty low-calorie smoothie that tastes delish! I’m pretty happy with it and I think you will be too! 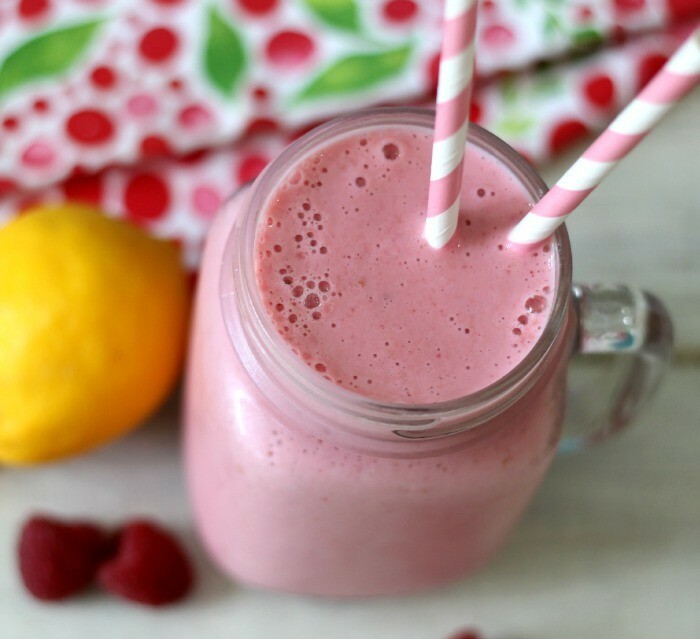 A light, refreshing high fiber, high protein smoothie made with lemonade, raspberries and yogurt. The perfect summertime drink that you can have anytime of the year! The carbs and sugar in this recipe is from the raspberries. Are you looking so forward to summer as much as I am? I can’t wait for the Farmers Market to open so I can pick out the freshest fruits and vegetables. It’s one of my favorite things to do in the summer. Have a great Monday and a fantastic week! Yummy!!! I will have to try that! In Oregon, this weekend, was so windy and rainy, miss the stretch of nice weather we had, but at least the air is fresh and clean. Don’t have to water the plants, so that’s a positive. I like to experiment with flavors too in smoothies. I was thinking about trying pomegranate hibiscus tea with greek yogurt and adding berries. I bet raspberries would be good in it. Can’t go wrong with berries in a smoothie!